Since years, this oil has been utilized for various health benefits and other medicinal purposes like to control excessive hair fall and blood pressure etc. 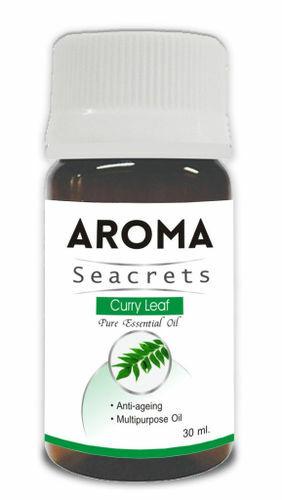 To reduce those signs of ageing, use Aroma Seacrets Curry Leaf oil with no second thoughts. It will help you in revitalizing your skin and take you back to the youthful era. Aroma Seacrets Curry Leaf oil serves as a natural antimicrobial and antioxidant agent that aids in protecting the skin from tanning with its rich nutrient values. It is very helpful in treating the hair fall problem. Aroma of this oil is very sweet and mesmerizing. Stress and anxiety conditions can be reduced using this oil.